flip through the 2017-2018 NETS Catalogue! 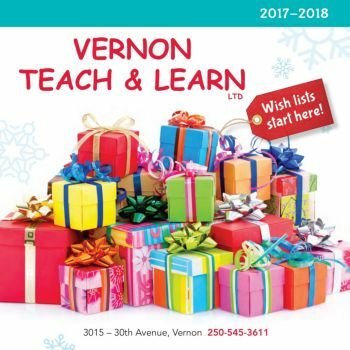 Vernon Teach and Learn prides itself in providing quality unique educational toys that strengthen and encourage your child's learning skills. Many of the toys we sell come from well recognized suppliers of teacher resource materials. Vernon Teach and Learn also has many of the traditional popular toys and games that kids are crazy about. Educational Toy Catalogues and Flyers are available at our store or you can view them online by clicking on the catalogue button on the top left.